There is a danger in series that the whole thing can get a little tired. The characters all get a little too comfortable, and pages can go by with nothing really happening. Fortunately, none of that applies to this, the sixth in the Temeraire series. 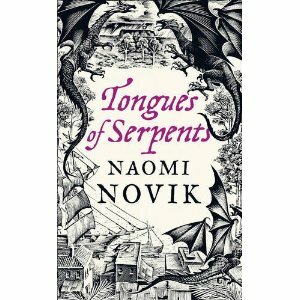 Naomi Novik delivers another cracking read, continuing the story along. This time, the emphasis is on the consequences of actions taken (or not taken) over the course of the previous five books. Even in their supposed exile in the new colony of Australia, Temeraire and William must deal with global events, and consider their own part in those events. The sixth books makes for a great story in itself, while also setting things up nicely for the next few books. This is not a book about finding yourself. It’s a book about finding what you’re good at, and doing just that, as often as you can. Ken shares with us the stories of many remarkable people who seemed to drift through life until they found their element, at which point they took off. These include people such as Richard Branson, the entrepreneur who did not take to school, or Paolo Coelho the writer, whose parents so wanted him to be a lawyer that they had him committed when he kept writing. The tragedy, as Ken writes, is that so many people never find or express their Element. He sets his sights plainly on the outdated western education system, something that is broken, yet fixable. If you haven’t seen his TED talks on the subject, you should. I had no idea this one was coming, and it was a very pleasant surprise to see it in the bookshop the other week. I love the Genghis trilogy, and this one continues the story by focusing on Subedei, Genghis’ general who is responsible for what is known to Europe as the Mongol Invasion in one of the most remarkable sustained campaigns of history. All told in Iggulden’s blistering style, this was yet another great read. Centry Rain is a mystery science fiction novel. Don’t read the back, it gives the mystery away. Two storylines develop: a twenty-second century archaeologist who has just made a career-ending (and possibly life-ending) mistake, and a private detective in Paris in the nineteen-fifties asked to take on the case of a suicide that the police won’t believe could have been a murder. The storylines seemingly have nothing in common, then suddenly everything clicks into place. A fascinating and well-paced read. I loved this book. It’s a tale of murder and revenge, with a stunning twist that will keep your fingers glued to those pages. Two tales in fact, since the life story of a historical character is told in flashback, that explains the situation on the planet where the story begins. I’ve read and loved Gibson’s recent work, Pattern Recognition and Spook Country, but I’d never before read this classic cyberpunk novel. It’s good, but having read his later work it’s clear he has progressed enormously as a writer. This isn’t to bash Neuromancer. The story is fast-paced and gets going from the start, no messing around. However this is an earlier work, and shows it. The talent is there, but not as well-tuned as in his later work. If you’ve never read Neuromancer I’d certainly recommend it, but behind Gibson’s more recent books. This is a book I read in a couple of days, and then spent a couple of months thinking about. Then I read it again. It starts off, as many SF stories do, with humanity exploring the galaxy, colonising planets, and then coming into contact with an implacable alien force bent on humanity’s destruction. Humanity is reduced to a few colonists sent off in a desperate last-ditch effort to re-establish the species, and stay low-tech and out of sight until humanity is ready to face the aliens and win. Instead, the colony directors brainwash the colonists into believing them to be angels, sent by god to rule over them. The military directors argue against this, there is a fight, and the ‘angels’ manage to wipe themselves out. Nine Hundred years later, a robotic body is activated, complete with the memories of a young ship’s officer. Her task, given via recorded message, is to go out into a society ruled over by a rigid church that has banned technology, and prepare the way for the second coming of humanity. Her name is Nimue Alban and hers is one hell of a story.